Wall’s is a range of great-tasting savoury pastries that are free from artificial colourings and flavourings; and perfect for any meal or occasion. The brand is owned by the Addo Food Group in the UK. With the goal of creating brand awareness and boosting sales, Wall’s launched a promotion that focused on its chilled packets of sausage rolls during the summer holiday period. This is a time when people tend to entertain more and are on the lookout for easy-to-prepare food that appeals to the whole family. 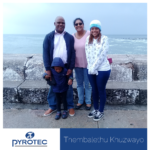 The theme of the promotion was ‘Win a Wall’s Weekender’ – a competition offering the target market a chance to win a family adventure break or experience, as well as a range of amazing barbeque sets and picnic kits. As an entry mechanism, customers were asked to send a text message for a chance to be entered into one of the six weekly prize draws. 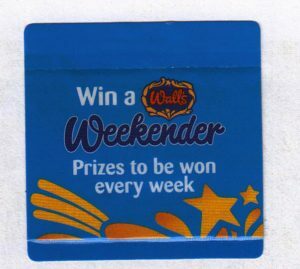 In order to appeal to shoppers at the point of purchase, Wall’s chose to use an on-pack promotional device to advertise the competition. Working in partnership with Denny Bros UK, Wall’s produced a Fix-a-Form® Booklet Label. This 4-page on-pack communication device was beautifully designed to grab shoppers’ attention. It also provided all the extra space that Wall’s needed to share important information about the competition, the prizes, the terms and conditions for entry, and of course – the products themselves. Denny Bros UK and Wall’s produced 196 000 40mm x 40mm concertina style Fix-a-Form® Booklet Labels, with a perforation in the tab to enable access to the leaflet. Two different orientations of these promotional devices were produced – one was designed to open in landscape and the other in portrait. 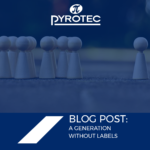 Pyrotec PackMedia is proud to be the exclusive Fix-a-Form® Licensee in Southern Africa, specialising in developing, manufacturing and supplying both promotional and informational Fix-a-Form® Booklet Labels. 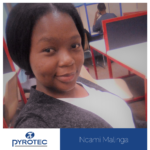 These enable our customers to increase product awareness, share more of their brand stories and boost sales.